Raise Your Glass (RYG), the ultimate Pink tribute experience, recently completed a five-song demo showcasing their take on some P!nk classics. Included in the release are RYG versions of “Don’t Let Me Get Me” and “Get The Party Started” from the Mizzundastood album, “So What” from Funhouse, “Blow Me (One Last Kiss)” from the Truth About Love record, and of course, “Raise Your Glass” from P!nk’s Greatest Hits…So Far CD. The album was recorded at For The Record Studios in Orange County. The studio was the in-house studio for Doctor Dream records whom some may recall was a leader in the Orange County surf-punk and alternative music surge in the 80’s. Everyone from No Doubt to The Cadillac Tramps to Joyride and Zebrahead tracked their early recordings there. In addition, For The Record has been the home for countless groups and artists from all walks of the musical spectrum. 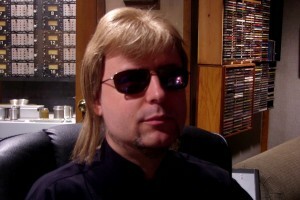 The common denominator behind them all is producer and engineer Eric Garten, who is simply known as “E”. RYG choose For The Record and “E” not only because of the long relationships some of the members have had with the studio, but mostly because “E” knew how to get RYG’s vision of translating the excitement of their live recreation of their Pink Tribute show to a studio track without it becoming sterile or so over-produced it would not be representative of what RYG fans have come to expect, let alone the agents and booking managers RYG is now courting in order to start playing the larger venues that are its goal. To make this happen,”E” had the band set-up in a close circle and play all the tracks live as a band. For those not familiar with how most songs are recorded nowadays, this is extremely rare. Generally each instrument is completely isolated from the rest and is usually recorded independently of the others. You record some drums, add some bass, add some guitar and so on. In addition as everything is recorded digitally nowadays, bands will record to a “click” track, which is a constant tick-tick in their ears to keep them all at the same time so it is easy to go in and edit and correct mistakes or play with the time in post-production. To record a group live with no click means that the group has to be extremely tight, know the material and not make any mistakes through the entire recording as everyone’s sound is bleeding over into the mics of all the other instruments. The plus side is that if done right and the group is spot-on, you can capture the live feel of a band that usually will be lost using the normal recording method. Once again the members of RYG proved themselves up to the challenge. After doing a couple of run-throughs, they nailed the tracks on the first take. Ok so Blow Me took a couple of passes, but it aint a walk-in-the-park to play. The only overdubs you hear on the track are the vocals. But staying true to the premise, the vocals were recroded live in capturing as much of the song in a single pass as possible. Even the harmonies were recorded with Stella, Kathrin, Tony and at points the entire band, doing all their parts together. 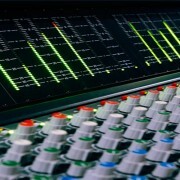 In mixing no EQ or compression or other enhancement was done to the instruments. Everything was a straight up mix with just some delay and reverb added to give it a more open live feel. The result? Well, the members of RYG are pretty proud of the result but you be the judge. Go over to http://rygrocks.com/media-room/ and take a listen yourself. Be sure and leave a comment or share the music with your friends and others if you like what you hear. The recording finishes up one more piece in the package for RYG as it preps to launch itself into the frey. We hope you all come along for the ride. “Just what we need. Another tribute band.” This is a sentiment you often hear in the “Live” music scene in LA and other major metro-hubs. And it’s true. Everywhere you turn there seems to be another homage to Led Zeppelin, a group of mop-tops in pin stripes trying to recreate the Beatles or some really talented but aging guys getting together to bring back the progressive rock glory days of Yes and Pink Floyd. Truly, there seems to be a dearth of tribute bands out there. But when you scratch the surface, and look under the hood, good tribute bands are playing more gigs, better venues with larger audiences and a fatter paycheck then their cover band, and original music counterparts. Why is this? It just makes economic sense. Most club owners, event promoters and entertainment buyers for large corporate and private event gigs, all say the same thing. “Our clients want a sure thing. They want to know that the entertainment they are booking is going to have a positive impact on the goal expectations they have for the investment they are putting into their event.” In other words, it doesn’t matter if the goal of a entertainment buyer is to put on a wow factor show, help create a specific ambience or just to sell drinks and get buts on the dance floor; tribute bands take a lot of the guesswork out of the success equation. The band has their business act together. The band knows the importance of communication. The band is self-contained and prepared. The band knows how to read and respect the audience. Volumes can be written on those five topics alone judging from the horror stories we heard, but we will save those for another time. Find a band that had a fairly good string of hits or marked a significant era in music or pop-culture. Calculate the number of living fans that are still out there wanting to hear that music again. Determine the feasibility factor of finding enough musicians who can not only play the parts but LOOK the part. Solve for the ratio of time it takes to really create a top-shelf production show versus the time you and your buddies have to squeeze in between day jobs and a real life. Once you can take it out of the lab, verify the results through real world repetition of the experiment. In other words, it may sound great in the garage, but how does it play in Dayton? So the very first thing that Scott and Katrina did was to take the formula and throw it out the window. “We knew we were going to do a tribute project.” said Scott, “We knew we wanted it to be great and fun for us and for the audience. We also knew that we wanted to do something to set us apart from the rest of the scene.” After running the usual list of subjects from The Pretenders, to Pat Benetar to the Motels and even some off the wall ideas like a female fronted Dio or a rocked up Patsy Cline tribute, both Scott and Katrina hit on P!nk, or Pink for those who hate seeing artists spell their names using symbols. “It just made perfect sense.” Katrina explained, “First and foremost we both love Alicia Moore’s (P!nks real name) music. Second, it’s a stretch but I do bear a slight resemblance to P!nk. But beyond all that we felt we had a concept that was perfectly tailored for the growing demand of artists and talent buyers for a highly-bookable production show. Makes sense to us. So will it work in the real world? Time will tell. 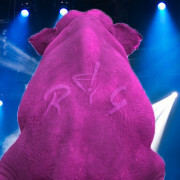 One thing is for sure, if Raise Your Glass hit its mark, it will be one P!nk Elephant” everyone will be talking about.